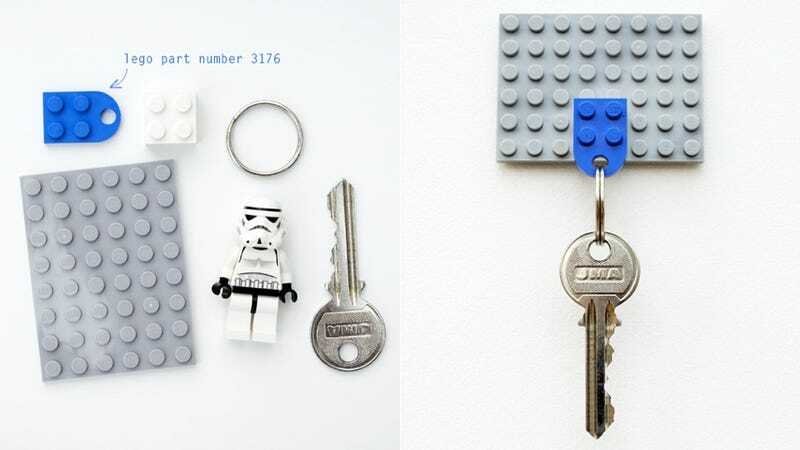 If you're always losing your keys, you need a regular place to put them. A bowl on a side table works, but is kinda boring, so why not make your own out of Lego? To be honest, it's not a particularly challenging build: you just need a base plate—choose one big enough to hold all the sets of keys that will end up dangling from it—and a bunch of Lego piece 3176. You can find them on eBay pretty easily.